The only statewide convention and expo dedicated to the business and educational interests of Virginia independent automobile dealers and their dealerships. Network with fellow owners/dealers and dealer-operators from across the Commonwealth, choose four educational sessions from 12 topics presented, and learn from 33 vendors about products and services that will help you enhance your business operations and be more successful. A Title & Registration Workshop will be held on Thursday afternoon for title clerks to learn what they need to know in their position. Thursday's Welcome Reception/Dinner allows everyone to enjoy a buffet dinner with VIADA officers, exhibitors and sponsors, and other attendees. Wear your best 'beach themed' outfit for Friday's Expo which will start with a full breakfast buffet and our opening session speaker - "What's Next...Industry Disruptions and Futures Forecast", Marty Coates, Waymaker Learning Corporation. This will be your first opportunity to really get to talk with exhibitors about the products and services that can help you in your dealership. VIADA members will then elect their Board of Directors and install their officers at the Annual Business Meeting. You'll attend four educational sessions, plus have two breaks and a lunch buffet where you can network with other attendees and continue discussions with vendors. Friday's activities culminate with a great dinner buffet with exhibitors followed by our Casino Party. 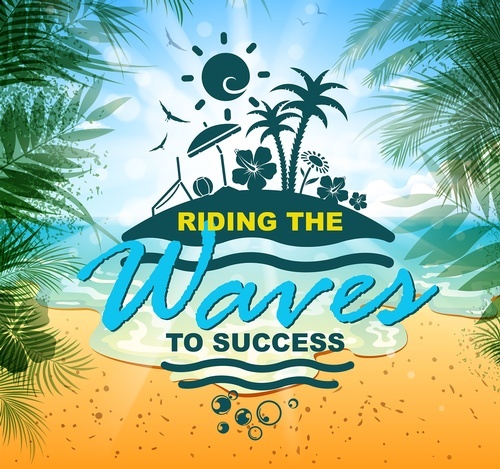 Saturday morning after the breakfast and closing session speaker - "Magic, Mama and Money...Lessons on Success and Life", Marty Coates, Waymaker Learning Corporation - attendees can enjoy the beach or explore other areas/activities that Virginia Beach has to offer. Our convention will end later that evening with our Grand Banquet reception/dinner where we recognize our newly elected officers, pass the gavel from one President to the next, and recognize and honor our 2018 State Quality Dealer of the Year. Hotel Room Rates: $145 single/double - city view; $165 single/double - ocean view; 14% tax + $2 occupancy tax added per room per night. Rates are good three days before and after the convention based on availability. Parking: Parking garage is connected to hotel (self-parking for group is complimentary). Valet parking available for overnight guests ($16 per car). Parking for individuals attending a meeting, banquet, or other function is available at the prevailing rates established by the City of Virginia Beach. Early Discounts will be applied during registration if registering before the deadline. CANCELLATIONS: A $50 cancellation fee will be applied to cancellations made BEFORE 10/5/18. Attendee substitutions may be made at no additional charge up to Friday, 10/5/18. No refunds for no-shows or cancellations after 10/5/18. All refunds will be sent via check after the Convention.